In this article, we will do ‘Bing Bang Profits‘ Review from Demetris. We can call this as another “New Spy Tool For Bing Ads“. 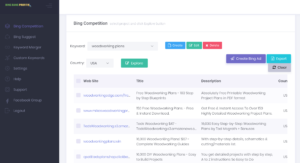 This tool/software can actually help you in Researching & Spying your Competitors and enable you to copy their Ads into your Bing Ads campaigns with just a click of a button. You can basically search for a keyword in BBP tool and once all the Ads are displayed, you will then be able to move them into your Account by simply clicking ‘Add to Bing Campaign’ button. We will go ahead and take a look at how well the tool is and what other things it can do. So, keep reading. One of the biggest challenges with Bing Ads is to know what is a working vs what is not working when it comes to Ad Copies or Keywords. 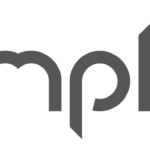 Many people suggest to use spy tools like ‘Ispionage, Spy, Similarweb’, etc., to know what are the Ads that are being currently used for a particular website. BingBangProfits is a Cloud based tool, so there are no worries about compatibility checks for the Operating Systems. Once you get your copy, you need to register your email id with in the app. Once you have access, all you need to do is, Connecting your BingAds account with BBP. You can start by going into ‘Bing Competition’ section to start your Research of the already working Bing Ads for your competitors. Tool will then start pulling all the ads that are currently being shown in the Bing Search Engine and shows them in BingBangProfits app. You can then, chose the ones that you like and simply add them into your Campaign. Once that part is done, you can then move on to ‘Bing Suggest’ module, which will help you mine or scrape the keywords used by your competitors, based on the Ads that you chose in the previous steps. With this approach, you now have the ability to pull the Best & Already Working Keywords along with the details of the current CPC and other information. 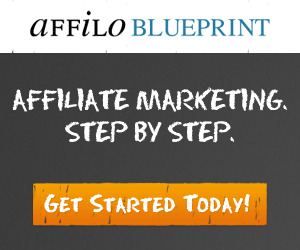 By doing so, you now have a good control over your campaigns and also be able to over rank your competitors very easily. 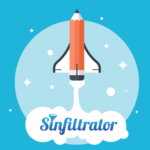 When we did a quick test by running a Sample campaign, the results were amazing. In fact the results are now available as a Testimonial on the actual Sales Page. You can check them here @ Bing Bang Profits Sales Page. 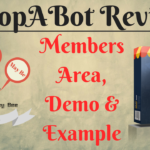 In fact, you will learn, everything about creating a campaign including, ‘How to choose an Offer’, ‘How to Create a Landing Page’, ‘How to Track Your Keywords’, etc., All the details available in the Members Area. We’ll get into the pricing details just in a few. 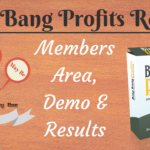 Check out our Detailed Review & Overview of Bing Bang Profits along with Members Area, Demo. You can check all the information in our video below. If you would like to get this product, don’t miss out the Bonuses that we have specially customized for you. You will be able to get 4 Bonuses when you purchase BBP using our link. Details of the links to all versions of this product are available below. But, before that, here is the information related to our bonus. 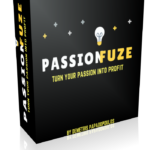 Bonus 1 – A Software, that can be used to find Excellent Keyword Groups from a Huge list of keywords. If you need to know how to find a huge list of keywords, you can check out our channel for the same. Bonus 2 – A Software, that can help you Filter the Keywords based on the criteria that you chose and easily filter out unwanted keywords. This can help you keep your ad copies & keywords congruent to your campaign. Bonus 3 – 25 DFY HTML Landing Pages that you can use right away in your campaigns, if you use your own websites. Bonus 4 – Important Tips that can help you Boost Your Bing Ads performance. 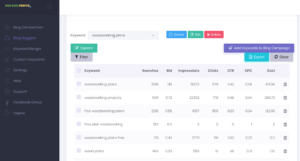 OTO 1 – You will have access to 3 DFY campaigns including Landing Pages and you can get the Keywords that he used along with the pages which are built on ‘IGLOO’ app. If you don’t have IGLOO, you need to purchase it separately or you can create the pages based on what Demetris shows. You can get this @ $47. OTO2 – Email + Advanced Tracking Training – With this version, you are getting a detailed training video on ‘How to Build Email Lists the right way’ & also the Email used by him in his campaigns. Along with the Email Marketing guide, you will also learn ‘How to Track Your Bing Conversions’ correctly. 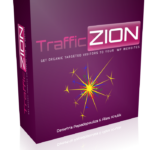 OTO3 – Inner Circle – FB Group Coaching + Advanced Training – In this OTO, you are going to get his previous courses (except access to Trafficzion) and Group Coaching access to him on Facebook. If you are not using any other tools to Spy Bing Ads, we would love to hear your opinion on this and your tools as well. Comment below so that others can learn along.